With the New Year upon us, many people are looking to set goals and improve their lives. One of the big problems is time. When can you fit it in to your schedule? For many people, an easy way to accomplish this is to get up earlier in the morning. 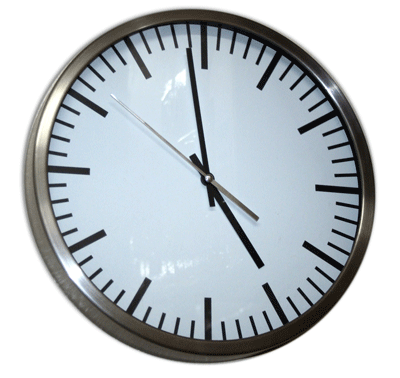 You can easily add 30, 60, or 90 minutes of productive time this way. I usually get up most mornings around 4am, which provides a few hours of productive time before having to go to work. Unfortunately, if you are not naturally an early riser this can be very difficult to do. It not only takes discipline, but a whole schedule change. Many people start with good intentions, but fail to keep it up, and just reset the alarm and go back to sleep. Some of my personal development blogger friends have great articles on ways to successfully get up earlier and the benefits of doing so. Be healthier and live longer. Be happier and more satisfied in their lives. So you can see that there are compelling reasons to get up before the sun comes up. Once you find a technique that works for you, the secret to making early rising work is to make it an enjoyable experience. While discipline is great, in the long run, if you don’t enjoy it you’ll end up going back to your old habits eventually. Here are three ways you can make it easier to get up and stay up. 1. Have Coffee or other hot beverage ready and waiting. For me this is key. One of the best devices I have ever purchased is a Cusinart carafe style coffee maker. This jewel has my coffee ready and waiting for me when I get up. I just lift out the insulated carafe and take it wherever I need it. I usually make a half calf coffee mixture, and the warmth and slight jolt of caffeine have me alert and ready to face the day in no time. 2. Start Off with Some Nutrition. When I get up early, I like a little something to eat. The secret is to make something that is warm and delicious without taking a long time to fix. Two things have worked well for me over the years. 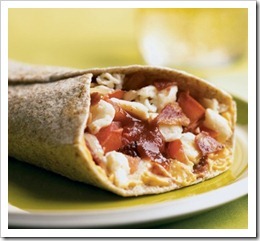 Toasted Breakfast Burrito. I just microwave a premium style frozen burrito and then put it in the toaster oven until it turns a golden brown. This turns a so-so meal into an excellent one. This process only takes a few minutes. 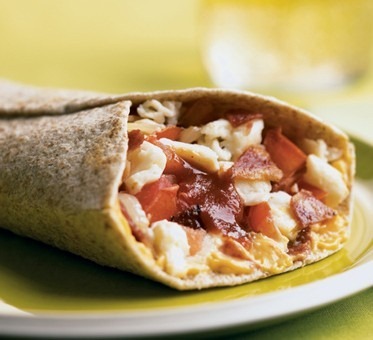 The great thing about a breakfast burrito is that you get protein as well as carbs without having to get out a frying pan. Turns your early morning ritual into a delicious one. 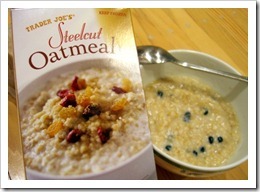 Trader Joe’s Frozen Oatmeal. 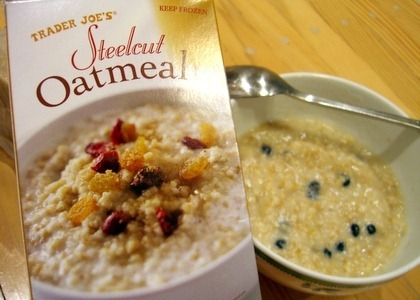 This unique product only takes three minutes in the microwave to be able to enjoy some of the best Steel Cut Oatmeal in the business. Just open the package, microwave and stir. I love the slight maple flavor and creamy goodness of this product. If you have a Trader Joe’s near you, pick up a package and give it a try. 3. Get Comfortable: Many times when you get up in the morning it’s cold around the house. If other people are still sleeping, you may not want to turn the heater up full blast. 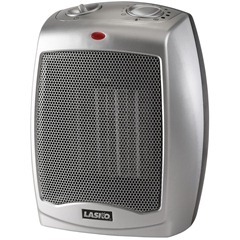 I bought a small portable heater for my office that keeps me comfortable and doesn’t take long to warm up a small room. If you’re warm, you’ll be able to get right to work. I also find that a small hooded sweatshirt makes the early morning more enjoyable. We usually keep our thermostat in the mid 60’s, which works well with the cotton variety. If you have a leather chair a sweatshirt will keep the cold of the leather from radiating through. Overall: While making the transition to an earlier wake up time can be a challenge, making the experience comfortable and delicious will go a long way to making it a habit. Why not give it a try? Question: Are you an early riser?